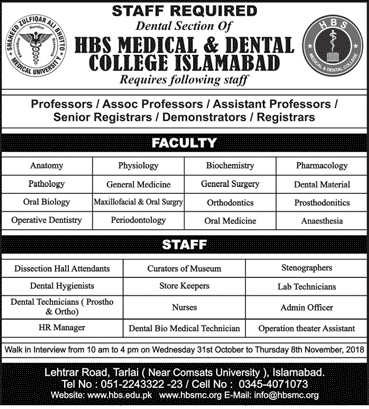 HBS Medical & Dental College Islamabad. Wednesday 31 October 2018 to 8 November 2018. Lehtrar Road, Tarlai (Near Comsats University) Islamabad.